Live Music returns to Ivybrook! 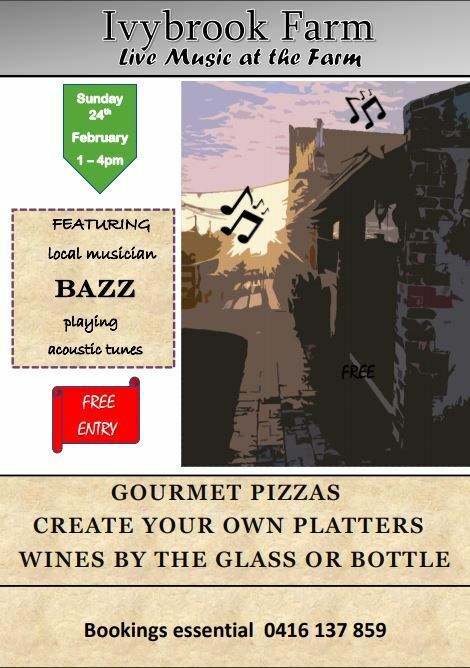 Popular local musician Barry Hunt ‘BAZZ’ is back playing his acoustic tunes at Ivybrook Sunday 24th February. Pizzas and create your own platters will be available along with the Ivybrook range of wines and local craft beers.